Next year, Andrew Lloyd Weber’s Broadway smash, Cats, will be getting a new theatrical adaptation. 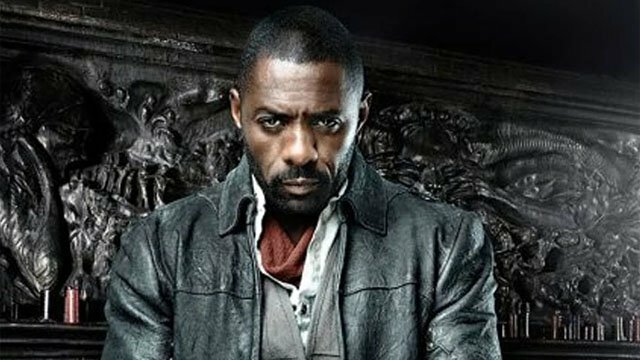 Now, Idris Elba is reportedly in final negotiations to play a major role in the film. According to Variety, Elba is slated to portray Macavity, the “Napoleon of Crime” in the world of Cats. Macvity plays a villainous role in the play as he pursues his own agenda, and he’s the primary subject of two of the songs. Presumably, Elba will sing during “Macavity Fight,” which is one of the big moments for his character. Elba does have singing experience, and he’s released a few of his own EPs over the last 12 years. Elba’s previous roles include The Dark Tower, the Thor trilogy, and he is currently playing a new villain in Hobbs & Shaw opposite Dwayne Johnson and Jason Statham. Elba will also reprise his title role in the fifth season of Luther for BBC. Jennifer Hudson is headlining the cast of Cats as Grizabella, the former Glamour Cat. Ian McKellen will play the patriarch, Old Deuteronomy, while Taylor Swift, James Corden, Laurie Davidson, and Mette Towley will also have roles in the film. Academy Award winner Tom Hooper (The King’s Speech) is set to direct the film from a script by Lee Hall (Billy Elliot). First performed in 1981, Cats is the fourth longest-running show in Broadway as well as West End history. There was a direct-to-video version of the production released in 1998. It is based on T. S. Eliot’s Old Possum’s Book of Practical Cats. The show itself is set in a larger-than-life junkyard playground and is alive with our favorite feline characters including Rum Tum Tugger, Mr. Mistoffelees, Macavity, Jennyanydots, Old Deuteronomy, Grizabella, and Skimbleshanks. Cats is expected to begin filming later this year. What do you think about Elba’s new role? Sing us a song in the comment section below! The post Idris Elba Joins the Cats Musical Adaptation as the Villainous Macavity appeared first on ComingSoon.net.